To learn techniques to manage your empathy get my PDF “Life Strategies for Sensitive People” Here. The message of empathy is always “I hear you” even if you don’t agree with someone’s reasoning. These magic words are the first step to making others feel safe. However, being an empathy doesn’t mean that you become a doormat or tolerate abuse, just to keep the peace in unhealthy situations. Rather, once you can see where someone is coming from, you can make the best decisions in that situation. 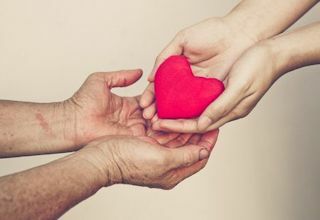 Empaths share all the traits of what Dr. Elaine Aron has called “Highly Sensitive People” or HSPs. These include a low threshold for stimulation, the need for alone time, sensitivity to light sound, and smell, plus an aversion to large groups. It also takes highly sensitive people longer to wind down after a busy day since their system’s ability to transition from high stimulation to being quiet is slower. Empaths share a highly sensitive person’s love of nature and quiet environments. However, an empath’s capacity for highly developed intuition and their tendency to be an emotional sponge who absorbs the stress of the world, sets them apart from someone who is sensitive to excessive sensory stimulation. Choosing empathy over anger and fear generates a profound shift in our relationships, personally and globally. It catalyzes a compassionate evolution of humankind and a hope for us getting along in more meaningful ways as individuals and as a planet. Empathy will be the deciding factor between war and peace, between hatred and tolerance. We need to grow larger than our smaller selves and egos to be empathic in our lives. Empathy is the game changer. It is the trait that will ultimately save the world. Self-Soothing Techniques: 8 Ways to Prevent OverwhelmWhat is Your Level of Empathy? 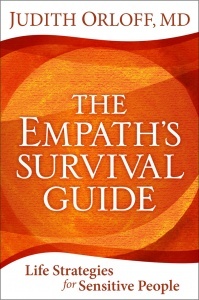 I always thought being an empath was a curse; something unnatural. I see now that it is more of a gift. Something that should be cherished. I live in Oakland CA.. I have had many messages for all of CA.. I am exhausted ..I realize that it draining my reserves..as fast as I protect myself..